I have to confess (though it should come as no surprise to the attentive reader of footnotes) that, when I set out to translate the New Testament for Yale, the modern English translation of the same text to which I found all my hermeneutical and literary principles most starkly opposed (at least, among versions produced by respected scho­lars) was N. T. Wright’s The Kingdom New Testament (2012). My disagree­ments with Wright’s method in general, and with his readings of many texts in particular, were and are both large and irreconcilable. So, it is no great shock that his review of my translation in The Christian Century is mostly a catalogue of complaints, only one of which looks opportunistically malicious (an obvious printing mistake of Romans 8:12 that he describes as an “error” in translation). He is, however, kinder to me than I would have been to him had I written a review of his translation; so, I suppose I should not take umbrage. I do want, however, to reply, because his remarks, to my mind, exhibit a host of what I regard as some of the profounder errors that can be made by any reader or translator of the New Testament. While I have respect for some of Wright’s theological inclinations, I am one of those captious few who think his New Testament scholarship suffers from a dangerous combination of the conventional and the idiosyncratic, with a few significant historical misconceptions mixed in, and that all too often it is an exercise in imposing meanings on the text that best conform to his own convictions, plausible or not. He makes this same last accusation against me, by the way. On the whole, though, if he is right that I too fall into a tendentious pattern, I still think it easy to establish that his transgressions on this score are the more numerous and willful. In fact, as far as I can see, Wright hits the ground running in his own direction from the early chapters of Matthew, where (for instance) he renders the word Magoi (Magi) as something along the lines of “wise and learned men,” which I assume he knows perfectly well to be flagrantly nonsensical (I expect he was cossetting the anxieties of his Evangelical Anglican readers regarding things occult or heathen). He laments the variety of ways in which I deal with words like “dikaios” and “dikaiosis” in Romans, and yet his own translation is notoriously capricious in that regard. Regarding, for example, his insistence on rendering “dikaiosyne” by the cumber­some phrase “covenant righteousness” (a special hobby-horse of Wright’s, which he takes out for a gallop around the paddock whenever he can), I would be only one among legions in pointing out that this arbitrarily isolates a single dimension of a term with a far larger range of possible meaning in the text. Some of our differences, I hasten to note, merely rehearse traditional disagreements between proponents of “dynamic” and “formal” equivalence in translating ancient texts. I am very much a champion of the latter. There are those who believe that the difference between ancient and modern idioms is simply a difference between distinct ways of expressing identical meanings (which apparently float above the flux of language and culture like Platonic ideas); I believe that different idioms reflect different ways of seeing reality and shaping experience, and so I choose to retain ancient turns of phrase or images that do not seem natural in modern English, on the assumption that it is misleading to do otherwise. Wright says that I claim my rendering is “pitilessly literal.” I do not; what I actually say in my introduction is that there are a great many particular passages where I adopt “an almost pitilessly literal” rendering precisely to preserve the difference between the ancient and modern ways of saying (and seeing) things. This can involve even very small matters. Wright complains of those places where I left intact constructions that use the words “houtos” (“this one”) and “ekeinos” (“that one”)—”the one who…, this one…” “having received…, that one…”—rather than assimilating them to simpler “he did so-and-so” constructions. After all, he notes, Greek and English work differently. And, indeed they do, which is why my choice is the correct one. I have no idea how large a classical education Wright has, but I suspect he knows that such constructions generally occur where the author is adding (for some reason or other) a special emphasis: “this one” (as opposed to someone else); “that one” (as opposed to “this one” or “just anyone,” and sometimes perhaps with a hint of disdain, like the Latin iste). Since in my translation I was interested not in producing a smoothly gleaming modernized gloss, but rather a “formal” correspondence of tropes, I chose to alert readers without Greek to that added emphatic note, and I remain absolutely convinced that I was wise to do so. Moreover, not having quite as colloquial a sensibility as Wright where the question of good English is concerned, I actually like the rhetorical effect, in all its stiff and strange formality. Certain other disagreements, I suppose, are matters more of scholarly debate than anything else. But, even here, I have to wonder whether Wright’s self-confidence is somewhat suspect. For instance, he does not like my decision to render the singular and plural of Abraham’s “kolpos” as, respectively, “vale” or “vales” rather than “bosom” (though, happily, not “bosoms”). He mistakenly calls my usage “metaphorical,” though in fact it is one of many perfectly literal renderings of the word (“bosom” is no more literal). More to the point, according to Wright, I have “ignored the well-known ancient Jewish idiom of Abraham’s bosom.” Really? Do tell. There is in fact no such “ancient idiom” known to modern scholarship. There is no extant instance of the image’s use before Luke’s gospel, and it is believed by a good many very impressive scholars that the image actually migrated from Christian sources into later Midrash and Talmud; hence the actual meaning of the phrase in Luke’s Greek cannot be established with any certainty, as I admit in my notes, and certainly not on the basis of a seemingly parallel idiom in later Rabbinic literature. The shift from singular to plural in the course of the parable, moreover, opens up the possibility that the original image has typically been lost in translation. Luke, whether speaking as a Greek Christian familiar with pagan pictures of the underworld or just as a Christian conversant with various first-century Jewish pictures of the afterlife, would have had no difficulty in imagining the next world as having a kind of geography separating the happy souls from the desolate. And, after all, Luke does describe Lazarus as inhabiting a place of flowing water. Again, in my text I offer my rendering as a purely speculative reading of Luke’s language, to apprise readers of the possibility of different interpretations. On the other hand, I find it very disquieting that Wright so confidently invokes a tradition of which no record exists. It raises doubts for me regarding his sources. Our largest differences, however, revolve around what we believe the texts actually say on certain theological matters. At times, admittedly, these differences can look like disputes over Greek usage, but the real issues are invariably deeper. Wright observes, correctly, that Greek sometimes uses a definite article before a noun where we would use none, since it names an abstract property; at the same time, he says, sometimes Greek often omits an article where we would use one. This too is correct, but not quite in the same way. He is objecting to my practice of advancing formulae such as “a Holy Spirit” where pious convention would write “the Holy Spirit”; and the deeper contention here is that clearly the text always means what later tradition unambiguously intended when it spoke of “the Holy Spirit.” (He also objects to some of my choices regarding when to capitalize “spirit” and when not, but I explain that quite adequately in my critical postscript.) Here I am right and Wright is wrong. True, a particular substantive often lacks an article in ancient Greek where it would carry one in English—as when, for instance, it functions as a predicate in a sentence—but where a noun is used as a specific denominative title (or even as an honorific version of an otherwise common name) it will usually be marked as such by the definite article. The absence of an article generally indicates that the author did not think of the noun as warranting a definite rather than indefinite designation. And, frankly, I have to assume that Wright would not make this argument if he were not committed to finding something like a fully theoretically operative Nicene-Constantinopolitan theology already present in the New Testament (the unthinkable alternative being to assume that his feel for ancient Greek is a little deficient). Mind you, it would have helped things immeasurably had Wright paid closer attention to what I said in my critical apparatus, rather than to the snippets he misleadingly prised from it. I did not claim to be presenting a perfectly “undogmatic” translation, but rather one freed (as much as possible) from the later developments of “doctrinal history.” My version is perfectly “dogmatic”; I simply believe that it is usually closer to the dogmatic interpretations of the earliest readers of the Greek. Beyond that, when looking for guidance in interpretation (as I say in my postscript), I consulted figures in the tradition who were at least reading the actual Greek original. At times, I admit, I was guided by the desire to translate the texts in a way that made more intelligible the commentaries of figures as diverse as Origen and Theophylact, on the assumption that their ears for the Greek were better guides to its meanings than would have been theological and doctrinal formulations that, having been first generated from Latin translations, then evolved into entire systems of their own in later centuries. I am unrepentant on this score. It would have helped, also, had Wright followed my critical notes with greater care. For instance, he insinuates that in my wrestling with the adjective “aionios“—and, to a lesser extent, the noun “aion“—I only reluctantly allowed my thinking to be governed by Judaism’s theology of the two ages. This is nonsense. That was the consideration to which I devoted the most space in my postscript and the one that was absolutely determinative for the translation on which I settled. But this brings me to another aspect of Wright’s review, and here I am not disposed to be genial. To be frank, I have never thought Wright’s understanding of late antique Judaism particularly sound or subtle (a friend of mine who is both a Rabbi and a fine scholar calls Wright’s view of late antique Judaism a Protestant Christian fantasy); at the very least, I certainly think Wright fails to grasp the full scope of Paul’s struggles with the question of God’s covenant with Israel. If, after all, the only one of Paul’s writings that had survived till today were the letter to the Galatians, we would think him a fairly extreme super­sessionist. Thankfully—if perennially troublingly—we have the tortured but ultimately glorious reflections of Romans 9-11 to balance the picture. Even so, as Jon Levenson has so aptly remarked, a tendency toward super­sessionism is one of the most purely Jewish aspects of Christian tradition; and Paul, whether we like it or not, clearly believed that aspects of Jewish tradition had been superseded so as to make room within God’s covenant with Israel for those who had otherwise been excluded. We all know this, surely. What makes us uncomfortable, however, is how extreme Paul really was at times on this score. Wright is aghast that at certain crucial junctures I render the word “gramma” not as something vague and unthreatening like “the letter,” but as “scripture.” I suppose this is only to be expected. We do not want to hear Paul speak of “scripture’s obsolescence” (Romans 7:6), or say that “scripture slays” (2 Corinthians 3:6). Surely, we cry, he cannot mean that in some sense scripture has been surpassed by God’s self-revelation in the face of Christ! Except that he does, and explicitly so. One need only read what follows in 2 Corinthians, all the way to verse 18, to grasp this. There is no question that Paul here is opposing God’s revelation in Christ not merely to “the letter” in some abstract sense. What this means ultimately, I cannot say, since in an even greater sense the testimony of scripture is also fundamental to Paul’s teaching regarding who Christ is. Then again, I do not expect perfect consistency from Paul, but only fervent fidelity to the mysteries with which he is grappling. Wright, however, calls my rendering “as idiosyncratic as it is bold.” I thank him for this, as it happens. But it is one other thing beside—it is correct. Or, to be more exact, it is honest. Interpreting Paul’s meaning here may be difficult, but translating his language is not. It is a tiresome fact of theological history that, generation upon generation, Christian exegetes choose to draw a veil of delicacy over some of the more jarring claims made by Paul. I fully understand the impulse; but I am no longer as patient with it as I once was. This entry was posted in David B. Hart. Bookmark the permalink. Wright’s review gives the rather strong impression that he skipped to a few of key passages, recorded his spontaneous disagreements, and simply wrote them up. He criticizes interpretative decisions defended in the critical apparatus, mentioning neither what those defences or why his readers should think them erroneous. It is unfortunate, because I had been looking forward to Wright’s review on the assumption that it would help me evaluate the merits of DBH’s translation (my Greek, which was never any good, is as good as forgotten now). Even were I to be on Wright’s side of the fence theologically or hermeneutically, I would have felt unenlightened by Wright’s review. I hope Wright comes back with a more robust response. Unedifying to read two important scholars lambasting each other with contempt. Is this a Christian way, truth in charity? Both are clearly uncharitable. Not really. When one scholar takes a series of cheap shots at another scholar (in order to promote his own alternative translation probably), and misrepresents the other guy as well, and then the other fellow replies with firmness and maybe some annoyance, it may not be pretty, but only one of the two is really behaving badly. Why would Wright review a New Testament translation when he has his own alternative version on the market? Isn’t that one of the big no-no’s in publishing? The right answer is “Yes,” actually. Thanks for playing. Imagine yourself in Wright’s position. You have your translation out there, and then another one appears totally opposed to yours in method and theology. You’re asked for a review. If you praise it, you’re discrediting your work. If you attack it, you’re promoting your work. You can’t be impartial. That’s why you shouldn’t do it. Your somewhat cynical view that leaves us without the wisdom of those with the most experience in the field. Setting aside ones personal agendas to discover the truth is a foundational skill and commitment in scholarship. While no one can achieve complete objectivity,the crass self promotion you see as unavoidable is, in fact, often avoided. Everyone has interests they would like to protect but I suspect commercial ones are the least of Wright’s. Good scholars acknowledge these and seek to minimize them. The guy who responds firmly to a cheap attack isn’t the same as the guy who launched the attack. Ben is correct, especially when that cheap attack was so incautiously full of inaccuracies. As a scholar of early Judaism, I rejoiced to see Wright’s anachronistic and Frankensteined “first century context” put in its place. Many apologies, Ed, but in the academic world a lot of vigorous debate looks like this. It is unsavory indeed. Scholars are brutes. You prick my conscience, so let me reply. I will confess to a few things. It annoyed me that Wright wrote any review at all of my translation, because he has a competing version out there, and it’s an old rule that one doesn’t write reviews–especially caustic reviews–of competing books; until now, I have forced myself not to make remarks about his translation publicly on that principle. It annoyed me also that he chose to give a remarkably distorted impression of my translation by treating normal words as arcane, by failing to distinguish between different schools of translation theory, and even by neglecting to mention that his solution to the “aionios” problem resembles mine in many verses. What annoyed me most of all, however, and what accounts for my candor here, is the insinuation that I downplay or obscure Paul’s Jewishness. This not only borders on slander, it is simply false. It is based on Wright’s own concept of what Jewishness is, or what it was in Paul’s time–or, rather, how one is supposed to call attention to it in one’s translation, even if that means using overdetermined phrases like “covenant righteousness” for a word that really just means “righteousness” or “justice” in general. That, I fear, I found rather hard to swallow. Especially since, in my rendering of Romans, I was so anxious to make clear that Paul’s thinking on the moral requirements of the gospel are in keeping with a prior Jewish understanding of pleasing moral deeds, and that the truly supersessionist narrative of pure “forensic” or “imputed” righteousness is a later misrepresentation of his thought. But, that said, I’ll try to be nicer about it. I wouldn’t be too apologetic about it if I were you. While I wouldn’t normally approve of this sort of dust-up it needed doing here. I’m quite a fan of Wright, but he was bang out of order in this and deserved a slap or two. He ought to be big enough to take it. Wright seemed to me to wilfully be going for some cheap shots that I doubt he’ll be proud of on reflection and shouldn’t have got into this in the first place (as you say). If he got back better than he gave he was to a large extent asking for it. You are entitled to indulge yourself a bit. You upset Ed (who is no doubt right), but we’re something less than human if we can’t take some satisfaction from some measured and justified counter-punching. I’m pleased to read of your conscience pricking, Prof Hart. That says a lot of good about you. Yet for folks like me, largely ignorant of the arguments on either side, but having caught a whiff of what we think is heavenly scent in Gregory & Origen & now Hart — your reply was most helpful because it was reassuring. How does it go? You hear one side, and you think “Hmm, that makes some sense” — but then when hear your side again but sharper, well, that changes things back to firmer ground. If you were to be too polite, too sweet, I fear I’d begin to surmise that your position is not so pressingly important, even if still credible. Yet what you are drawing out is terribly important. It’s striking at the heart of Who we know our God and Saviour to be, and how I’m to live in that light. So please keep championing this stuff, okay albeit nicely, but with determination & immediacy! DBH,(and BenW) can I apologise also for the troglodyte implications in my comments below. I (now) understand what the intention of the translation was — I think “literary mimesis” is an interesting and worthwhile aim but I am interested in how that can be achieved _beyond_ the dichotomy of ‘form-based’ and ‘meaning-based’ translation theories. Since communication relies so much on what the hearer/reader is expected to _infer_, how _can_ we ‘imitate’ the effects the text had on first century readers? It seems to me, it isn’t only a matter of substituting “a” for “the” with “holy spirit” for instance, because we still have to deal with what the original writer _expected_ the original readers to _infer_ from the whole text, Describing this example as “indefinite” vs. “definite” is not enough. Taking responses in too personal a way just never seems to turn out well. I am finding the two articles, review and response, robust but informative. Sometimes exchanges between scholars need to be confronting to lay bare where the areas of real disagreement are. At this level of sholarship, there is significant ego and arrogance in play. These men are both highly capable scholars at pinnacle career positions. But they are also human beings who can struggle with pride and anger and passion. This discussion between them is about so much more than just translation theory. I suspect DBH might have avoided some of these anachronisms if he had done an introductory course in linguistics. What anachronisms? What are you talking about? The things Wright calls anachronisms aren’t anachronistic. Hart uses words that are correct even if they’re not words you hear every day at the store, but they’re all perfectly normal modern terms. Ben W, maybe “anachronisms” was the wrong word :-). “Linguistics clangers” might have been better. I would suggest that most of his examples DBH uses in talking about English usage and what translation involves shows a “clangerish” understanding of how languages work. When you claim “As Nabokov said, a good reader always has a dictionary near at hand” than you are stretching the relevance of the communication — I use “relevance” deliberately (see Sperber & Wilson’s Relevance Theory). @Ben W, Then why “betrothed” in Matt 1:18? You think “betrothed” is obsolete? Wow. Okay. Different backgrounds I guess. You’re missing the point I think. He didn’t aim his translation at English-speaking sailors. Wright said that the word “alee” is an obsolete nautical term, and Hart pointed out that it is not obsolete at all, but current. The point is that Wright has a limited vocabulary and so finds normal words strange, while Hart has a large vocabulary and finds “strange” words normal. I recommend you read Hart’s translation. It reads a lot better than Wright’s, and it doesn’t abide any anachronisms. Wright’s, however, does (woe betides). But BenW, sociolinguistically that is exactly what he did! Or does he not understand “register”? Okay, I see the problem here. Apparently some of you are unaware of the nature of the DBH translation. You are assuming that a translator of the Bible is always out to produce a “common man’s” Bible that makes the message crystal clear (or the message according to the translator). Hart’s version is not that kind of translation. He makes this clear in the intro. If that’s what you’re after, you’re not going to get the point. It’s literary mimesis. He tries to convey the different voices of the authors. So Mark is kind of rough and broken, and Paul is always coherent. Luke is very educated and uses precise language. Hebrews and II Peter and other books that are written in a very fancy Greek are intentionally written in a fancy formal English. I thought everyone knew that that is what is different about this edition. It’s an attempt to give readers who don’t read Greek a feeling for what it’s like to read the Greek original text. Maybe if Wright had mentioned that it would have shown how dumb his complaints were. If that sort of Nabokov-does-Pushkin translation isn’t for you, then okay. For those of us who want it it’s a treasure. But, okay, for reading Luke or Hebrews you might need a dictionary. Not for reading Mark or John. I mean Paul ISN’T always coherent. Using a more precise word that is used in the same context (in this case sailing) instead of a less accurate but more familiar term to those unfamiliar with the context is the exact opposite of an anachronism. Many of may not have the same familiarity with the world of sailing as the NT authors inevitably did, but at least we have ready access to dictionaries. Are you saying that the word “alee” and its meaning (the side of a ship away from the wind) is “anachronistic”? I don’t understand. I’m a bit confused by the comments about “alee” because is obviously and in comprehensible term in everyday English. Thanks for catching that. The link has now been corrected. We were entitled to have expected more of Wright’s review of Hart’s NT translation. In the event it wasn’t particularly good, or reasonable, and was heavily loaded (not to mention a bit below the belt) and I’m not surprised that Hart has chosen to respond. Wright was pressing all of the buttons designed to irritate Hart, labouring the point that we still need (as Hart, according to Wright, has not found it) good ways of expressing the ‘Jewish and early Christian two-Ages doctrine in clear English’. While I’m not usually a fan of such dust-ups, I’m loving (as a guilty pleasure) some of Hart’s comebacks here. It really is glorious knockabout stuff. I’ve got Hart ahead on points after round 2. At David’s request, I have made some clarificatory revisions to the text. If you read the article before 4:25 p.m. EST then you may wish to reread it. OK, that was, um, enjoyably painful. These addressed some of my own suspicions and freed me up. Thank you David. Perhaps you/he *should* have been more reluctant to view and translate it through this lens — as any cursory study of *aionios* that isn’t Ilaria Ramelli’s atrocious one (or by 19th century Swedenborgians or whatever) will easily show that it has absolutely nothing to do with the two-age trope. I owe Wrght a great debt for having led me to the doors of the Orthodox Church. I read him extensively and deeply the first decade of this century. There were so many things he pointed out in C1 Jewish literature and Pauline thought that echoed what opened up for me in the Orthodox Liturgy and in the Doctrine of the Church; I could see multiple threads clearly going back into Judaism. I believe Wright so strongly emphasizes the Covenant track partly because he likes Calvin more than he likes Luther, but it did help me unhook my thinking from the standard low-church Protestant view with which I had lived for +30 years (and much of the Roman Catholic view in which I was raised). I am disappointed that, although he admits he is not an expert in Patristics, it seems he rather discounts the Patristic interpretation of Scripture, and in so doing jumps, in his own way, from C1 to the Reformation, like so many Protestants do. I understand why he doesn’t want to attribute a full-blown Nicene theology etc. to Paul, but there is a process of explication of these ideas that begins well within the purview of his C1-early C2 area of study. I thought “Revolution” was a very good book for disengaging from the usual Protestant penal view of the Atonement, but there was a big hole in it: he did not reckon with the Incarnation and its place in understanding the meaning of the Cross. Already in the Epistles the link is there between the Christ as somehow divine, and the overthrow of the power of death, even if the word “incarnation” is not used. I read the review, and I think it’s an unusual case of Wright being less than careful – dare I say a little sloppy? I’m not convinced he read it all the way through… He is probably very busy with writing and beginning a new university term at the moment, and didn’t give Hart’s translation the time it deserves, unfortunately. I don’t think he recognizes there are some goals of Hart’s that do not overlap his. Wright had a moment reading Galatians when he was “knocked off his horse” and Paul’s writing was illumined for him in a way he had not previously seen. I don’t know if Hart has had such a moment, but I certainly understand frustration with translations that lead people away from coming face to face with the truly startling message of Jesus, and wanting to do something about that. Having done a bit of translation (German to English), I have some small idea of the difficulties involved with getting the tone of the text right. “Translator: traitor!” is very apt; there is **always** a bias when choosing to employ one particular definition out a whole semantic range. Being pretty much unlettered in Greek, I depend on competent, experienced scholars. As regards the New Testament, I’ve been very frustrated with translations, for more than one reason. I was excited to hear that Hart was working on a NT translation. With his experience and immense English vocabulary, I believed he would be doing his best in wrestling with the text toward an outcome that would add clarity to the intent the text itself. With this hope and expectation, I bought Hart’s translation right away and am slowly making my way through it, having decided to read it as chronologically as possible, and giving it focused attention. IF there were to be an Orthodox doctrinal bias in Hart’s work, that’s the bias I would prefer – though I haven’t yet noticed any such bias. I read the front matter and end matter first, being very interested in the rationale behind the translation choices. I don’t generally care for bare transliteration, but I understood why Hart chose to do that where he did. I find the translation to be a breath of fresh air. There really was a change of “voice” when I finished Mark and started Matthew. With an attuned ear as a musician, and as someone who likes to hear the speaking voices of the authors of works that have helped me – especially that have helped me closer to the Lord – that actually made me gasp a little when I had read a few sentences of Matthew. I’ve read a large chunk of Wright’s translation appearing in the “New Testament For Everyone” series. Like other translations, Wright’s voice muffles the voices of the different writers of the NT. In Hart, they come through loud and clear; that in itself is a translation/literary accomplishment of the highest order. I’m looking forward to hearing the voices of the rest of the NT writers, too. Well done. Wow. I mean, you know that Hart’s translation decisions aren’t oversights, accidental, or arbitrary… but wow. If you ask, be ready for an answer. I thought those last two paragraphs in particular were big. Thick with theology and implications, particularly in conversation with Wright, but it goes beyond Wright. Scripture being “surpassed”. A lack of expectation of “perfect consistency from Paul, but only fervent fidelity to the mysteries with which he is grappling”. A “diversity of views in Jewish thought at the time” as compared to (correct me if I’m wrong) Wright’s insistence of a more singular narrative with which all NT authors consistently engage. Etc. I wish that the hardback were more readable (chapter/book headers on each page please!). The strange verb tenses give it an urgency and rawness, interesting comparisons to other translations, appreciate the more transliterated sense of Gehenna and his write-up on aionian… so far I’m digging it. Hopefully I don’t end up in the “marsh of fire” (Rev 20:14) for saying so. I’ll take this opportunity to suggest a more accurate translation of the Bible. Thou shall findeth this manuscript to be e’er most precise and in accordance with the teaching of Our Lord Iesus Christ. In all seriousness though, I wish Hart would write his own perspective on Pauline theology now after reading this. So glad you put VI before I.
Wow! Wright is one of my favorite authors, and his book Surprised by Hope changed my life. At the same time, reading the two reviews most makes me want to read Hart’s version. I’m putting it on my wish list now. So, as far as I can tell, the only two things I think Hart may have missed here are that, a. ), Wright is usually an enemy of Nicene theological readings (he had a famous falling out with Richard Hays over just this issue, suggesting more or less that Hays was betraying scholarship to read Scripture through the lens of the Creed) and b.) Wright is an avowed supersessionist, that is, he has suggested on several occasions that he sees no further theological significance to the Jewish community or to God’s covenant with Israel as such. At least, this is what I’ve gleaned from Wright over the years, and these are two big reasons why I no longer read him quite as closely as I once did. You’re right to a degree, of course, but it’s complicated (as the kids say). Getting so caught up in my own argument that I almost forgot why I lost interest in Wright’s work some years ago. But by “something like” an operative Nicene-Constantinopolitan theology I did not mean a conscious and explicitly worked out doctrine. I meant only that he has his own very precise sense of who Father, Son, and Spirit are, and ambiguities are not welcome. Thank you for clarifying! Yes, it’s unfortunate that Wright is less comfortable with ambiguity in ancient Judaism (under which I would include nascent Christianity). I am, now, in my final semester of an MA in Biblical Studies at Missouri State University, and Wright was my initial inspiration, as a high school student, for wanting to become a biblical scholar. As I have increasingly found my academic niche in intertestamental, apocalyptic, and mystical literature, Wright has become a correspondingly frustrating read: he picks and chooses when to take ancient Jewish attitudes and worldviews seriously, when convenient. Specifically, I’ve never understood how he, as someone with a background in Classics, has never expressed a firm handle on the ongoing cosmological thinking of ancient Judaism in Babylonian and Hellenistic context (“heaven” and “earth” become flat categories with as often as he repeats them, and he does not usually seem to recognize that often we should be speaking not of “heaven” and “earth” but of “heavens,” “earth,” and “underworld”). I also cannot see how he still stubbornly refuses to admit any kind of astral immortality among ancient Jews and Christians (he has a whole section in Resurrection of the Son of God, a book otherwise meritorious on some points, where he attempts a revisionist reading of a whole array of texts that explicitly use solar or astral language about the glory of the saints in the eschaton). As someone writing his thesis on exactly that topic, it’s maddening! Let me just say, regarding the second point, that the first piece of yours that I read was the essay you wrote for Jews and Christians, edited by Jenson and Braaten. At the time, it helped me feel not-so-crazy, as an Orthodox Christian, for taking what Paul has to say in Romans 9-11 about the current value of Israel’s traditional religion and its ultimate future in the plan of God seriously (a discomfort I no longer struggle with), while at the same time encouraging me to see Israel’s saga in its relationship to the eternal inner life of the Trinity. It’s a topic that certainly deserves a wider treatment in Orthodoxy. I’d love to chase down the essay you alluded to. Where can I find it? I, for one, don’t mind using a dictionary when necessary. I have both a hard copy and the Kindle edition of DBH’s New Testament. Now I feel less guilty about not reading those really thick books on Paul by Wright that are gathering dust on my overburdened shelves. what really thick books on Paul by Wright? Mainly Paul and the Faithfulness of God, Robert, though I have the entire series. I have a few thoughts here – first of DBH, the project in itself must have been immense and I am enjoying the fruit of your labor, eccentricities and all. I think that much of the criticism you are receiving, and will continue to receive will arise from the sectarian, and even totalitarian impulse that arises when translating Scripture. I am more familiar with Hebrew than Greek, and any honest reader of these languages has to give weight to the context in which the author is writing, and the semantic and syntactic range of meaning that would inform the way in which their language is used. Whatever can be said of the authors of Scripture, they were not setting out to write theological treatises. So, when theologians translate the text, they inevitably bring their theological baggage with them. 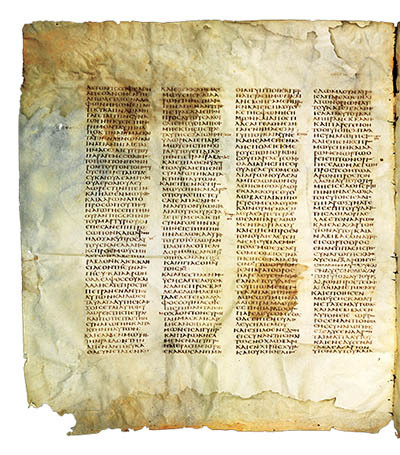 That said, I think that your translation brings some refreshing clarity to the 1st Century Judaic/Aramaic/Hebraic character of the Gospels in particular, and begins to capture something that has been lost in so many translations – the ability to hear, in whatever small way, in modern English what the first readers of the NT corpus might have heard. This alone is worth the price of admission. In the critical apparatus you make your perspectives clear, so as I read, what gives me confidence as I work through the text is that you have attempted an honest translation. Many translators fail on this account because they are preoccupied with producing an accurate translation, without ever acknowledging the hubris inherent to such an enterprise. My only quibbles with your translation as I have read it are asthetic – at times it does come across as overly erudite and on this account I think that Wright’s complaint is legitimate. But, I am a lover of all things Steinbeck, and the simple power of common speech, so that might be more of a personal preference. My aesthetic complaints aside, I am thoroughly enjoying your translation. You have given many of us a gift of being able to read the NT again for the first time. Those are extremely kind remarks. Than very much. It sounds to me like DBH is arguing that NTW has turned out to be a bad student of EP Sanders. If so, I concur. For us ignoratti’s — could someone clarify about supersessionism? I think I get that it’s a take that Paul preaches the church = the new Israel? What I’m wanting to learn is what you call it if Paul never held that Israel was all that, coming as it did after a lineage of saved folk who held some of the same rituals & understandings codified in Hebrew law. I mean, Abel knew to do “the right” thing by his sacrifice. Surely that was never abolished?! What do you call it if you see Paul et al focusing on a thread that was woven into humanity from the garden, then maybe colorfied and encrusted with lots of jewels over there in Palestine, with Jesus incarnation vivifying the core, and the encrustrations shluffing off? Forgive my ignorance — is there an “ism” that captures this idea? I apologize for a slightly off topic inquiry, but a burning question on my mind of late has been which Bible translation to begin reading (and eventually using for memory work) with my very young children. For the most part so far they have only been exposed to Bible story books. I myself have read over the years from the KJV, NKJV, NIV (briefly), ESV, and now, since I purchased it a few months ago, DBH’s New Testament. I have been reading this latter with great interest and excitement– it all does seem very fresh, immediate, engrossing, and energetic as discussed. I am also a universalist so I am sensitive to certain renderings on that score. However, because of the grammatical unorthodoxy I have hesitated to make it my version of choice with the children. Any advice on this will be greatly appreciated! I think kids, would find the NIV, NLT or the CEB easy to read. Hart uses too many big words, at least in his books. He is EO so he would lean towards Universalism. . In the old days, parents used the KJV to read to their children. I see no reason why parents should not use it today, despite its difficulties. Personally, I would use the RSV. My only advice is to have them memorize verses from the translation you would like them to know as adults. My wife and I settled on using NASB with our children. It is a modern and acceptably scholarly translation but preserves some of the syntax from classically KJV verses which will, no doubt, continue to be cultural touch points for generations. For the last year or two I have been using the NABRE specifically to shake some of the influence of the “magisterial Protestant tradition” on my theology. Jane: Use the Gospel reading for each Sunday as a basis. Begin by telling it in your own words. Show them whereabouts you have found it in the Bible, pointing out which of the Gospel writers is telling this particular “story”. Then – unless their interest is flagging – read it in the version your church uses, explaining whatever they seem not to understand. Then, make sure they listen when it is read in church on Sunday. Get them to ask questions about it afterwards. For the time being leave the Old Testament just as “Bible stories”, but draw out any prefigurative reference. For example, relate the Baptism of Christ to the sea drawing back at the Exodus from Egypt, and read them Psalm 113 (LXX, 14 MT). For the all the major feast days, the Matins Canon will help you fill out the meaning. DBH says that, “the truly supersessionist narrative of pure “forensic” or “imputed” righteousness is a later misrepresentation of his (Paul’s) thought” We continually get the forensic narrative drilled into us (and my kids in their Sunday School classes) at church, and have for all my life attending Evangelical and Reformed churches. Can someone recommend some resources (books, articles) that provide an alternative to this narrative? I have become increasingly uncomfortable with it (simply because for me it seems to clash at every turn with Scripture, both OT and NT), but it is rampant in the circles I run in. Help. The resource you need is a community different from the circles you run in. No book will fix this for you. It has to be lived into and out from within the context of a community intentionally structured around following the Way of Jesus and not the American Evangelical Religion. Mike — wouldn’t that be lovely! And where do you find that?! Well, we’re working on it at the Gainesville Vineyard. Vineyard? Who’d a thunk it. I’m proud of you. Will you stick with the Vineyard association, constantly tweaking things, or will you move in a different direction, Mike? Genuinely delightedly flabbergasted. I always took Vineyards to be heavy on emotional-pentecostal-like experientialism (tongues especially). That ecstatic environment plus loud rock & roll swaying in a groove enchanted up from the millennial musicians, plus separating the kiddos off to their own controlled environment minus parents, has had me stubbornly shying away from this brand of assembly. Also I understood that the “pastor” at many of these type venues (probably more parachurch businesses than local “church” assemblages, despite (mis)appropriating the NT officer titles) saw himself mainly as a preacher figure who rarely — nay, almost never — saw his roll to go out hunting for sick or lost sheep. But I’m not saying this is characteristic of your type group — and I’m hoping I’m wrong or that at least you’re an exception.. It’s Baptists & Presbys and who knows what all else. I remember cornering a pastor at a Mars Hill-esque place, to get the confession “I’m not really a people person”. Individual Vineyard churches can vary a lot but when we are sticking to what we started with our whole deal is an openness to all the genuine ways the Spirit moves (which are many and have been experienced by Pentecostals and charismatics for years) with ZERO hype. Being anti-hype and anti-emotionalism are core Vineyard values (but ones we don’t always remember). As far as kids separating, that was part of our experience when we came into the Vineyard in 2002 and one of the things I am actively trying to change. Others in the Vineyard are too, especially Jared Boyd, whose book Imaginative Prayer specifically coaches parents in training their kids in Ignatian prayer. I recommend “Stricken by God?” by Brad Jersak and Michael Hardin. Also a lecture posted on Youtube by Metropolitan Kalistos Ware titled, “Are You Saved?” All Eastern Orthodox theologians view salvation as more therapeutic than forensic. “Those who are well do not need a Physician, but those who are sick.” Jesus viewed his ministry among sinners not as a legal practice but as a medical practice. In other words, Jesus saw himself not as a lawyer but as a doctor. Thanks Patrick — Ware (not sure the title I should address him with) is delightful there. But even though we have this choice, this unencumbered will that must assent to our own salvation — doesn’t universalism expect (“require” maybe a better term) that any & all recalcitrance / hesitation / stubborn rebelliousness on our part will be eventually supernavigated to good change / repentance by God? I mean, we kind of end up with same predestination theory as Calvinists, don’t we? Though with a better sum at the bottom. Unrelated — I can’t believe how expensive these books are on Amazon! And Un-un-un related, wouldn’t it be nice if DBH offered his translation free to the church, shipping only, with donations defraying cost, etc, accepted? Kind of sticks in my craw that one can copyright the Bible. Is his translation copywrit? They are worlds apart as unlike Jean’s 16th Century hellish vision there’s no super imposition of God’s power at the cost of human freedom and desire in traditional Christian universalism. No small distinction. To second Robert’s response: it’s inaccurate to simply conclude that Christian universalism is a happy or optimistic fatalism. Calvin’s grace overrides nature, it does not fulfill it. Calvin’s God is rooted in the inscrutable, arbitrary will that is the legacy of voluntarism. He is a modern who contemplates an understanding of divine wrath lightyears from the agapeic giftedness perceivable within the context of traditional theism. The difference of metaphyics is equally completely incommensurable understandings of the nature of revelation, grace, love, and human flourishing. “In other words, Jesus saw himself not as a lawyer but as a doctor.” – this is a succinct gem. Thanks. Alex, the best resource I can think is my blog. 🙂 The second best is Fr Stephen Freeman’s blog. I also recommend Brad Jersak, A More Christlike God. Where can I read this remark of his, hopefully along with the argument he uses to back it up? I don’t know where the Jon Levenson (note spelling) quote originates from, though I suspect it was a lecture and not a written statement. One thing I do remember, specifically, is that “a tendency toward supersessionism is one of the most purely Jewish aspects of Christian tradition” is something NT Wright himself has noted in some of his own lectures, with proper credit to Levenson. IIRC, John Lennox has also quoted this. It would be ironic, in light of the scuffle here, if the Levenson quote were apocryphal in nature! DBH, your response is well-warranted. I especially agree to your choice to use more-or-less arcane words, so we are forced to grab on to something VERY specific — chaplet is a great example, and I don’t know why Wright bothered to complain about it. if the Greek foregoes the use of *any* article, definite or indefinite, can we not do the same in English? You come to a sentence that says “and the Holy Spirit descended” in Wright’s translation, and your translation says “and a Holy Spirit descended” … what about just writing “and Holy Spirit descended”? That reads awkwardly, but it’s still grammatically correct, right? I suppose doing it this way gives “Holy Spirit” the status of being not just a noun, but a *name* … but is that necessarily true? I’m not the world’s chief English grammarian. But I think it sounds like something that would work. What do you think? No, Patrick, it was not below the belt. Certainly nowhere near as low a blow as Wright’s final paragraph in his review. Wright has pressed his special understanding of “covenant righteousness” and “covenant status” (etc.) with extraordinary zeal over the years, but not with great accuracy regarding the variety of understandings of the covenant present in late antique Judaism. Insisting on his special understanding of dikaiosyne in his theological writings is one thing, as an interpretation of Paul; imposing it upon the text is quite another. My greatest complaint about his translation of Paul, however, is what he does with the “psychical” and “spiritual” bodies of 1 Corinthians 15. There he has created his own tradition and attributed it to Paul, while what Paul is actually saying would be clear to Wright if he were not so adverse to granting certain terms and concepts that Jewish and Hellenistic culture shared in the first century. Eric, check out Jon Levenson’s The Death and Resurrection of the Beloved Son: “Nowhere does Christianity betray its indebtedness to Judaism more than in its supersessionism” (p. 232). Will Yale university press correct the Romans 8:12 mistake in Harts translation in future printings? DBH and NTW use “literal” and “allegorical” as though they were precision instruments. In Hart’s translation, says Wright, “Paul’s scriptural tales … are simply homespun allegories.” They are not ‘historical.’ Notice the two assumptions in play here: (1) literal = historical and (2) allegorical = unhistorical. Hart agrees with Wright on this point because he presses it even further: “Wright objects to … my observation that Paul may literally mean what he seems explicitly to say in 1 Corinthians 10:11, that some of the stories recorded in the Torah may already be allegorical in form rather than strictly historical narratives.” The same two assumptions are in play here: (1) literal = historical and (2) allegorical = unhistorical (or whatever amounts to ‘not strictly historical’; let’s call it ‘spiritual’). DBH, you’ve read Origen. Why admit such a hard and fast distinction between literal/historical and allegorical/spiritual interpretations? Must you suggest that the events recorded in Israel’s scripture didn’t actually happen in order for those scriptures to have an allegorical/spiritual meaning? Is that what Paul ‘explicitly’ says (or even seems to say)? I make no such opposition. I simply point out that in one verse Paul seems to suggest that certain tales are written as allegories. That said, it is the case for many of the fathers that some tales can be read only as allegories, not as strictly accurate historical narratives. Thus for Origen the Eden narrative is not a report about a real tree or a real snake, or about God strolling in his garden in Mesopotamia. Thus too Gregory of Nyssa did not believe God ever commanded the slaughter of whole populations, children included. Do you? Our paradigm remains fixed on spiritual = ahistorical. No doubt this is because of the bias against anything non-literal as being incapable of being true or incapable of conveying truth. This is an Insidious remainder of the false dilemma of grace vs. nature (supernatural vs. natural). But of course when God’s will is conceived as raw, voluntaristic power one can understand this pesky prejudice. Friends, I just read an announcement on Facebook that David Hart’s mother fell asleep in the Lord earlier today. Please pray for the soul of Marianne and for her three sons, Addison, Robert, and David, and her grandchildren. Out of respect for David and his loss, I am closing this thread. Thanks to all who have contributed to the discussion.